ARUA – Arua District Police Commander Abbas Senyonjo has been transferred in the aftermath of the August 13 violence that engulfed Arua Municipality on the closure of campaigns for the parliamentary by-election. 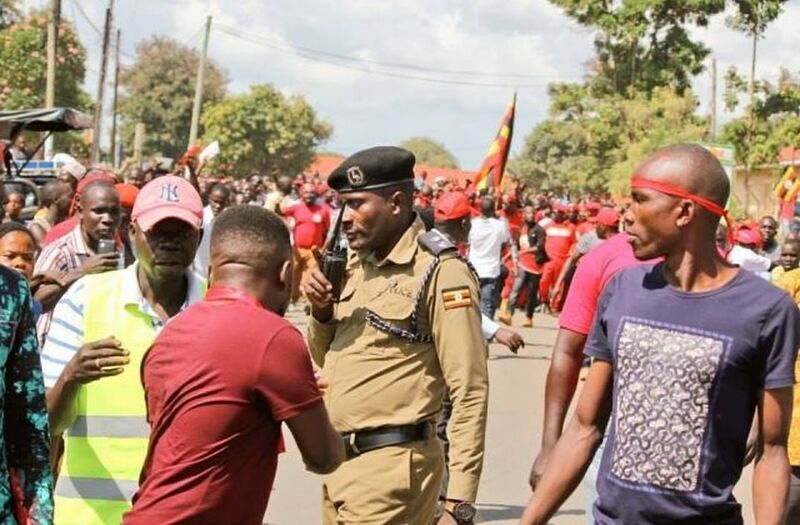 The Monday evening violence saw several Opposition Members of Parliament, including Kyadondo East MP Robert Kyagulanyi, aka, Bobi Wine, arrested and the shooting dead of his driver in Arua. And in a police message issued on Tuesday afternoon by Moses Balimwoyo, Mr Senyonjo has been moved to Masaka where he will serve as DPC and the current police boss there, Mr Henry Kintu, moves to Arua in the same capacity. In the other reshuffle, Andrew Okalabaya has been moved from Buikwe to Mpigi as OC Traffic. It is not clear whether Senyonjo’s transfer is connected to his alleged failure to contain the Monday violence that saw Special Forces Command soldiers clash with supporters of Independent candidate Kassiano Wadri. Supporters of Wadri and those of NRM’s Nusura Tiperu clashed when they met on Inzikuru Street, prompting soldiers of the Special Forces Command (SFC) to open fire at the former’s supporters. MPs Gerald Karuhanga (Ntungamo), Paul Mwiru (Jinja East) and Francis Zaake (Mityana Municipality) alongside Independent Candidate Kassiano Wadri, who the duo is supporting, are being held at Gulu Central Police Station. Former Makindye West MP Mike Mabikke is also under arrest. The police insist the legislators were part of the group that intercepted the presidential convoy at Prison Cell in Arua Municipality.